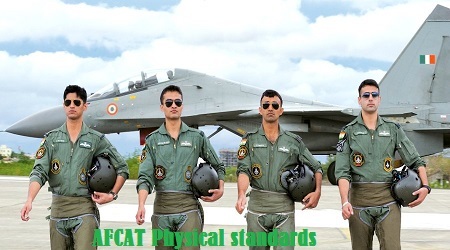 AFCAT Physical Standards 2019 for Male and Female: Hi AFCAT aspirants, once you clear the written exam of AFCAT you have to go through a round of physical standards test. Here we will discuss about the medical fitness criteria and all types of AFCAT Physical standards specified for the exam. AFCAT Physical standards includes chest, height and weight measurement, which should satisfy certain criteria. The medical fitness standards is to check the eye vision, tattoos on the skin and medical history of the candidate. Below you will find all the details about the Physical standards specified for different types of branches offered through AFCAT. In the AFCAT selection process, the candidates have to take up the second round of AFCAT which is also called Physical Standard Test (PST). Once you clear this evaluation process, you will get call for another round which is SSB, post which there is medical examination in specified hospitals. For flying branch, men and women have the same parameter description as specified below. Leg Length : Min – 99 cms. Max – 120 cms. Thigh Length : Max – 64 cms. Sitting Height : Min – 81.5 cms. Max – 96 cms. Height relaxation: For Gorkhas and individual belonging to hills of North-Eastern region of India, Garhwali and Kumaon, the minimum acceptable height is 5 cms less. Minimum Visual Acuity 6/ 6 in one eye and 6/ 9 in other, correctable to 6/ 6 only for hypermetropia. Physical standards and fitness parameter is same for flying branch for both men and women. On the other hand, for technical and ground duty branches, these parameter specifications differs. Below we have discussed in detail the parameters with descriptions for women. Height relaxation: For Gorkhas and individual belonging to hills of North-Eastern region of India, Garhwali and Kumaon, the minimum acceptable height will be 5 cms less. 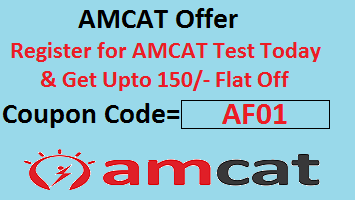 For more information on AFCAT click here to visit official website. Hope this helps you to get more clarity on the AFCAT Physical standards for men and women. Please comment below for any queries.